Which Star Replaced Roman Reigns On RAW Banner?, Paige Reacts To McMahon Announcement, WWE SmackDown - Wrestling Inc.
- Cathy Kelley previews tonight's post-TLC edition of WWE SmackDown in this new video. The episode will feature a coronation for new SmackDown Women's Champion Asuka plus reactions from Becky Lynch and Charlotte Flair. - It will be interesting to see what happens with Paige on tonight's SmackDown after the General Manager and Commissioner jobs were nixed on last night's RAW as Vince McMahon, Shane McMahon, Triple H and Stephanie McMahon announced that they were taking back the show from "middle managers" and running things as the days of absent management are over. They promised to give the fans what they want and let the fans be the authority with this new "fresh start" for the brands, admitting that they haven't been doing a good job lately. 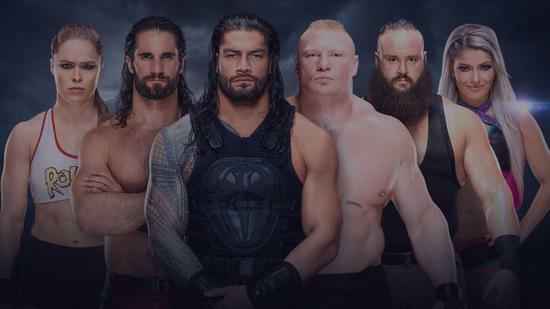 - Seth Rollins has replaced Roman Reigns as the lead Superstar on the show banner for RAW on the official WWE website. Drew McIntyre was added to the banner where Rollins once was. The banner now features Rollins, McIntyre, RAW Women's Champion Ronda Rousey, WWE Universal Champion Brock Lesnar, Braun Strowman and Alexa Bliss.